When you have an idea in mind for an exciting design project, it’s common to want to get it off the ground as quickly as possible. However, one of the significant hurdles you need to pass is finding a reliable, high-quality designer that can take your vision and make it a reality, successfully. If you are looking for a “graphic designer with experience” you are sure to find many of them, but locating the cream of the crop can be a more arduous task. It can become overwhelming even. Luckily, there are some traits to look out for when you are deciding on a good graphic designer. It doesn’t matter if you are planning on becoming a world-class designer yourself, or are looking for a reliable one for your next design project. There are some critical, key traits you need to be aware of. 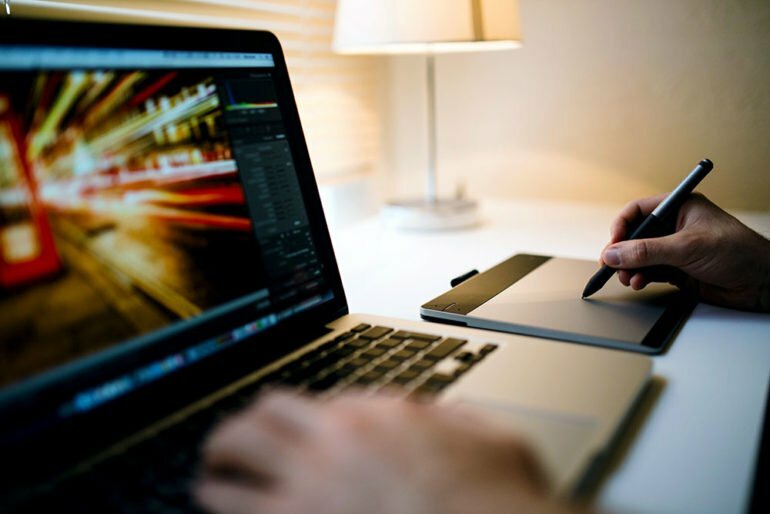 Before you dive in, learn more about some of the essential traits of a high-quality graphic designer. While designers are usually considered to be “artsy,” remember, this is a business as well so they must also have a good sense of business. It is crucial that when you are searching for a reliable designer you look into as many of the details as you can, and one of them should be the determination on whether or not they can make sound business decisions? Remember, a designer’s opinion and personal preferences must come second to your goals and your business goals, and they must know how to make decisions that are good for business. Having an eye for detail is critical in this business, and a great designer will pay attention to all of the details, no matter how minor, and will look for ways to improve your project. In many situations, the ability to maintain consistency is required, as well as the ability to catch one’s mistakes, which can be very difficult for any designer to do after they have stared at their work for an extended period. However, a high-quality designer that is detail-orientated will catch their mistakes and remain consistent throughout each project. If the person you are trying to work with isn’t professional, there’s a good chance your overall experience will not go according to plan. The kind of designer you need (or want to be) is one that takes themselves and their work seriously, and that means they take pride in how they present themselves to others. Designers can be a freelancer, which means they are the face of their brand, so professionalism is critical. Finding a designer that aligns with how you and your company operate will save you a lot of heartache in the future. When a designer shows expertise in their field, it means that they are a person who is always striving to learn more, every day. Change is the only constant in the universe, and in the world of technology and design, the changes can happen quite rapidly. A great designer will know and understand this, and they will be ever-evolving in their skills and knowledge base. These designers will think outside the box, exchange ideas with others, and will always look for ways to seek new inspiration and try out new things. Luckily, it’s usually pretty evident if the designer you are looking to work with has expertise in their field.